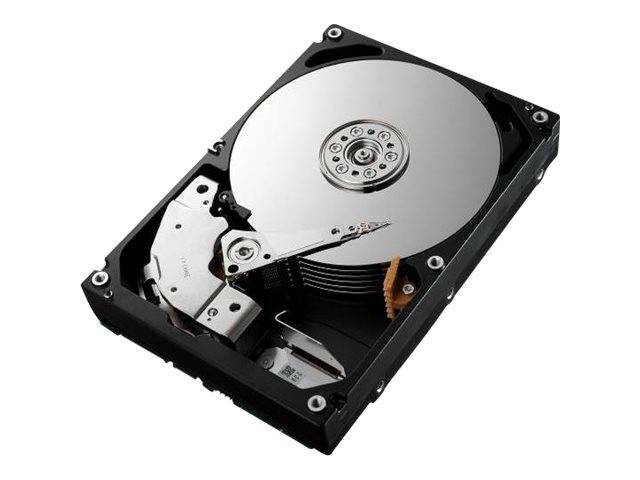 Toshiba's N300 3.5-inch NAS internal hard drive is designed to meet the reliability, performance, endurance, and scalability requirements of 24/7 network attached storage application for personal, home office and small business use.The N300 features rotational vibration (RV) sensors which automatically detect and compensate for transient vibrations to deliver consistent performance in multi-bay storage enclosures. With support for up to 8 drive bays in a multi-RAID NAS design, the N300 is highly scalable to the users' NAS configurations as their data storage needs evolve.The N300 NAS HDD line of high-reliability drives have a high workload rating of up to 180TB/year and are optimized for use in NAS environments where large amounts of data need to be efficiently stored and accessed daily. NAS systems in small businesses or creative environments often need to be accessed by several users, at different locations, simultaneously. Therefore NAS drives must deliver high data transfer rates and simultaneous upload and download 24 hours a day, 7 days a week. Offering high reliability and scalability, N300 drives achieve an incredible performance. High performance and fast read speed is made possible under high data access loads from multiple users. This makes the drive suitable for small businesses and creative professionals looking for solutions to handle high data volumes using multi-RAID NAS environments.